Do you like poems about America’s past that evoke a Rockwellesque landscape, then curl up and scratch the back of your neck? I do. But if that’s what you are looking for, this collection isn’t it. Rather, it will grab you by the hair and pull you into a dark place in our history, and hold you hostage there. This is the most powerful representation of the Kitty Genovese murder that I have seen, and I have seen quite a few. I was a new college graduate when the murder happened, and could not believe that dozens of eyewitnesses had just sat there and done nothing. I remember hearing many say that such a thing could never happen “in our neighborhood.” Though later re-examinations suggested there were not so many witnesses as reported, the event still marked for me the end of American innocence. And in our neighborhood, people began to lock their doors. the living. I want to imply a sense of intimacy between us. Your stab wounds were lips, they were eyes too. Kitty is brought to life by the poet’s identification with her, by the blurring of the two lives. The poems use Kitty’s life in describing the poet’s and vice versa. The elegiac feeling is enhanced by the fact that the poems are self-elegies too. But the tone is not slow and meditative. 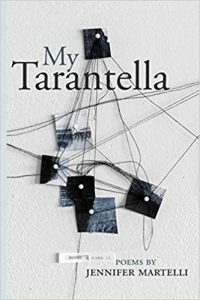 The tarantella, a curative frenzied dance, suggests the pace of the poems. 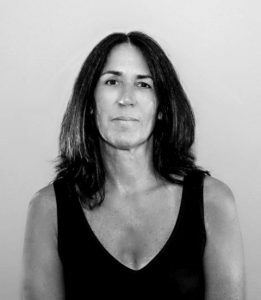 An Italian-American woman who grew up in the city, daring to live alone and be who she was, is violated and murdered by a man—this story is a metaphor for women’s position even now, claim the poems, and vividly, rightly so. How does Kitty order things? Catholic. My mother held my hand. Why are you writing about her? She had a tin ashtray from the ‘64 World’s Fair in Queens. The poems have the ironic effect of giving Kitty a voice that was denied her in her lifetime, a presence that cannot be canceled out. Women poets have such a broad field now of silenced women to allow speech, but this collection is unusual because of the power of the identification. Jennifer is Kitty, and so must her readers be. …Black flats with jeweled clips (smoky diamond). Pumps. These poems are addictive, and the world they represent seems too true. Not even lovers of cozy nostalgia will want to avoid these poems or evade them. The poems seize you like the dance, the Tarantella, and leave you exhausted but enlightened. Maybe a little bit healed. New York, NY: Bordighera Press 2018. ISBN 978-1-59954-130-3.